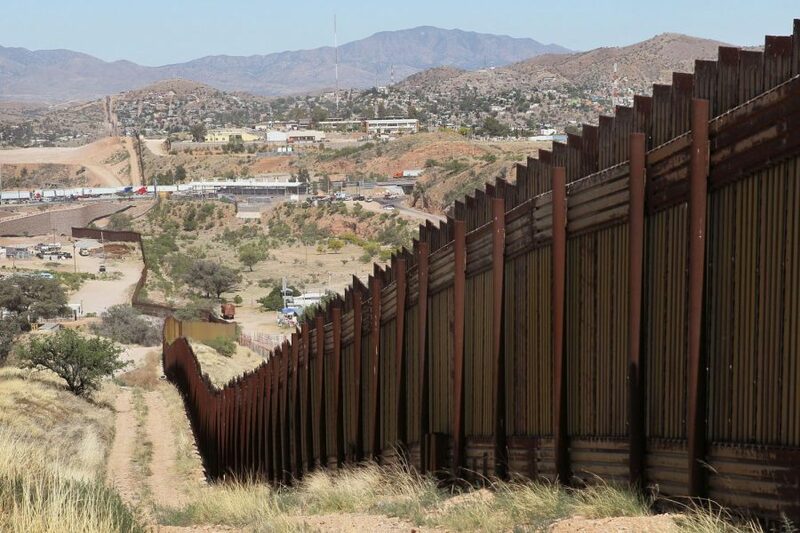 In a recent study of 100 Morton East students and staff, 40 said that they believe that the US will eventually create a wall on the southern border. In 2019 so far there have been 10,265 migrants caught on the southern border from a total 48,287 captured in total from all entry points in the US. Most of the immigrants were of 18 years old but there were a lot of children crossing the border. Although in recent years more people have been leaving the US than coming in some people do want the government to pass a bill in which funding is produced to further secure the southern border with Mexico. ‘’Yes, just cause the way he is he’s so critical on Latin Americans,’’ Senior Anahi Rodriguez said. She Feels like Donald Trump is being hard on the Latin culture because he’s trying to build the wall. ‘’No, because they not going to give the money for it,’’ Junior Luis Bocanegra said. He knows the Government won’t provide Trump with money to build the wall. ‘’Yea, because they have a bad president, they’re going to do what he wants,’’ Senior Ashley Polacios said. Donald Trump is the president he does has power, but that doesn’t mean he can just do what he wants. ‘’I hope not, his not good it sends the wrong message, we’re not that type of people,’’ math teacher Ms. Courtney Miller said. It seems that many people think that the wall can go either way. “They’re not going to build the wall; they’re going to lock Trump up,” Senior Deonte Jackson said. While others think more radical measures are going to be taken. ” I don’t know; it’s a stalemate right now. No one is making concessions; the only way something changes is if the public changes their views and Republicans make compromises,” English teacher Mrs. Therese Tanski said. It seems right now that people think there are many possibilities on the table right now, and it seems they’re all equally able to happen. Trump is not going to be able to build the wall. I don’t know why the students interviewed failed to mention that trump isn’t the only one that controls the government. This is the reason he closed the government to try and scare the other branches.even though he did this they are still not going to give in and the wall is not going to be built. I personally felt like you could’ve put more information about the measures Trump is willing to do to build the wall. Overall you guys did great including variety of opinions that truly describe how students and staff feel about the topic. The fact that Morton East is mainly hispanics really shows how we as a school can be effected with the labels our very own president puts on us. Hopefully we are wrong when coming down to believing that there is going to be a Wall that divides us with our nationality. I personally support the wall, I do not understand why people want to be so against a wall. Walls work and if you need proof just look at Israel who have a massive wall to keep out the Palestinians and it works, as a matter of fact your own tax payer dollars went into that wall already in the form of “foreign aid”. If we payed for a wall on Israel then we sure can pay for one in the United States, plus it will certainly help border patrol keep peace at the border because without it the flow of immigrants can be overwhelming for them. The Southern border can easily be exploited by terrorists and criminals, yes there are some people simply trying to make a living but is the risk of letting anyone in worth the lives of Americans? We should build the wall and wait for results, if it doesn’t work then we could just sell the pieces off to people who want it or use the materials to create other structures elsewhere. Your household probably has a fence as well, if you don’t support the wall get rid of the fence and leave your doors unlocked and see what happens after some time maybe then you will understand that walls work and their intended purpose. The wall should be built either way and I don’t believe it’s “xenophobic” as people say it is. It has been twisted a lot by the media claiming it’s racist towards Latino’s. Now Trump doesn’t want immigration to stop but he doesn’t want Illegal Immigration. He is already promised to reform ICE and the way Immigrants gain access into the United States with other programs than that of Visa. Either way the Wall isn’t expensive either as most people would point out. It’s just 0.53% of our national Budget, that number doesn’t even reach the 1%. Many would claim that that money could go towards the people but then again those 5 Billion dollars being distributed to all people in need of money will just receive enough food to feed themselves for at least a week. Not only is that unproductive but it doesn’t help our economy as well. I really like how you had the opinions of the students at Morton. I believe that the wall shouldn’t be built. Either way I don’t think the wall will be built because no one wants to fund the wall. The wall is way to expensive and the US is still in debt. Also, Trump and his government won’t be able to compromise with the democrats, who also don’t think a wall in necessary. Moreover, I don’t think a wall would even be able to effectively stop illegal immigration because immigrants could just find a new way to get in. I think they shouldn’t build it and the government should spend their money onto something else that’s really necessary. I think there not need for a “wall” they should be worried about other thing for example the education of the students, society, and the money that U.S. owns to other countrys. I believe even though they pull the wall there still going to be people, kids, teenagars crossing the wall. I have mixed feelings about the “Wall” that Trump plans to build. In a way, I understand his point of view and understand that he’s trying to diminish the violence that we have, but it always seems like he’s attacking a certain group of people. Yes, some immigrants bring crime, but it’s not ONLY immigrants. We have people who are in the United States who are criminals. It’s probable that the wall won’t be built because a lot of people know that if the wall is built, it still won’t be as effective as Trumps envisions. When I first heard about the wall i did not believe it was gonna happen but now that it is being built i am afraid for our country if trump was able to get the government to agree to the wall even tho there was already a boarded then what else will he be able to build or make happen. i think the wall is just the first step of the U.S changing. Our people need to stop being so gullible and letting our president do what he says is best for us when it really is what he wants for his own peace of mind. i like that the article has quotes from different people getting their opinion but everyone is trying to act like they don’t see what is really happening. they should have had more about the wall actually happening and people who believed it was gonna happen. I really like how you had the opinions of the students at Morton. I think that the wall shouldn’t be built since that can make a big problem between both nations, this can separate them. The government should spend their money onto something else that’s really necessary.